Portland, OR, USA. 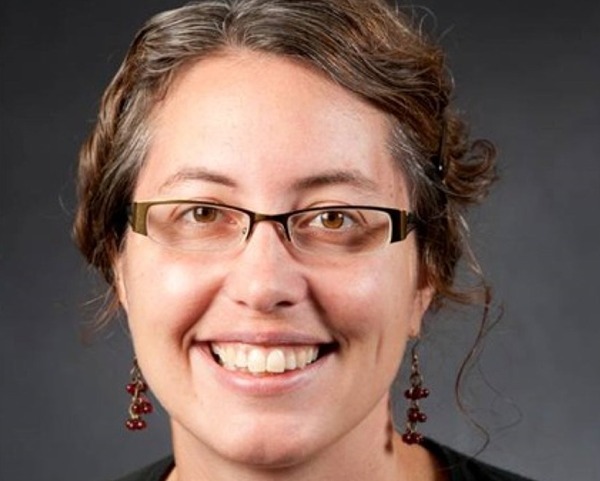 Dr. Olyssa Starry is an assistant professor at Portland State University where she teaches urban ecology in the Honors College. She studies and models the effects of green roof design and maintenance on stormwater management and biodiversity. She received her PhD in Plant Science and Landscape Architecture from the University of Maryland in College Park in 2013. Her dissertation investigated variable water use by different Sedum species and how to incorporate this into the green roof water balance. This work was informed by an NSF IGERT traineeship at the University of Maryland in Baltimore County as well as an internship at the Hochschule Neubrandenburg in Germany. Prior to her doctoral studies, Olyssa worked for the PA Dept. of Environmental Protection and as a teacher and organizer for the Boston Urban Ecology Institute’s after school program. She also holds and MS in Biology (stream ecology) from Virgnia Tech and a Bachelors degree in Environmental Studies from American University. Years ago, Olyssa was a teacher and organizer for the Boston Urban Ecology Institute’s after school program. In her spare time she enjoys knitting, sampling Portland’s eateries with her husband, and spoiling her pets. Along with Kelly Ksiazek-Mikenas, a PhD candidate and researcher at the Chicago Botanic Garden, Olyssa co-authored the children’s activity book: Growing UP in the City: A Book About Green Roofs (2014): Follow the friendly bumble bees as they venture into the city to learn about the benefits of green roofs. 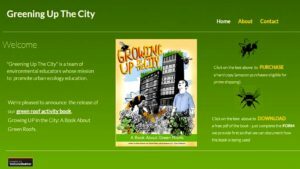 This 24-page activity book will help students, teachers, parents, and interested citizens learn about the many ways in which green roofs are taking urban ecology to new heights. Both Olyssa and Kelly are dynamic scientists, educators, and green roof enthusiasts! As previous Botany in Action Fellows, they believe that plant science research should be accessible to everyone through active community engagement and effective scientific communication. They started their non-profit company, Greening Up the City, with a mission to educate people everywhere about the dynamic relationship between plants, people, and the rest of the natural world that occurs in the cities where we live, work and play. Also see Olyssa’s links at https://www.researchgate.net/profile/Olyssa_Starry2 and http://urbansod.blogspot.com/. Olyssa is part of a Collaborative Video with Kelly Ksiazek-Mikenas.